Avril Lavigne recently came back into our lives with a new single, and now she's getting ready for an entire new album. Preparing us for that, the Canadian pop superstar has now shared her artwork for Head Above Water, and it's revealing, to say the least, with Lavigne being completely naked on the cover. Lavigne made the reveal today on her Twitter, sharing both the album cover you see above and the new record's tracklist. As you've no doubt noticed by now, Lavigne is completely naked on the album cover, with an acoustic guitar covering up all the NSFW bits. As for the tracklisting, it contains 12 new songs, which seem like they will be as dramatic as the album cover. Among the titles are "I Fell in Love with the Devil," "Tell Me It's Over," "Dumb Blonde" and "It Was in Me." Head Above Water is without a release date so far, but following the "Head Above Water" single, she will release the new album track "Tell Me It's Over" on December 12. On that same date, the album pre-order is reportedly going live, so we'll likely know the release date then. 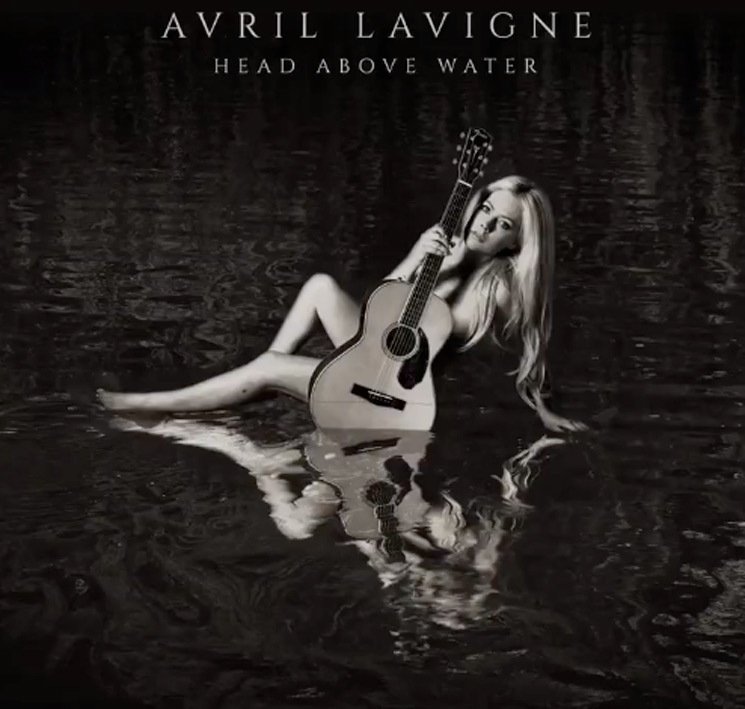 You can see Lavigne's post below, where you'll also find "Head Above Water."